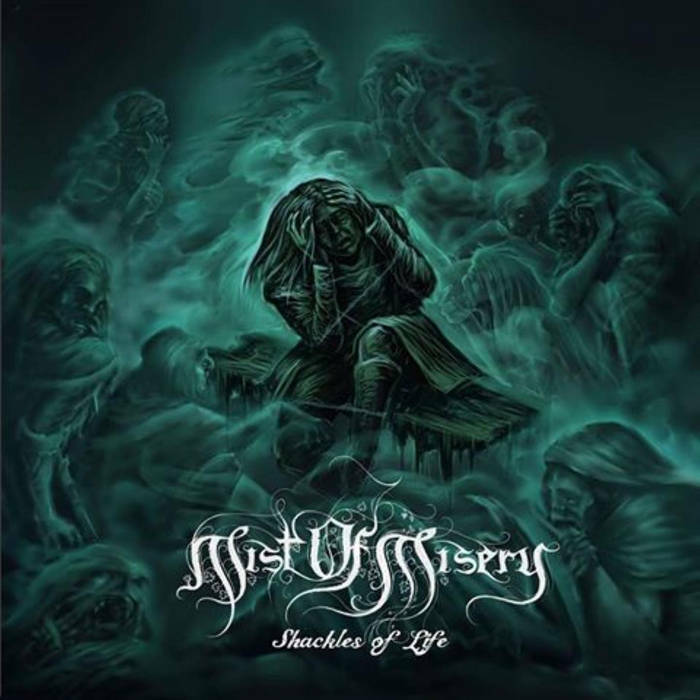 One year exactly after the Absence album, Sweden’s Mist of Misery released their follow-up, Shackles of Life. And the results are exasperating. As I noted in my review of the previous album , this is a band whose approach to songwriting is a pioneering blend of DSBM and symphonic black tropes and while this theme is continued on Shackles of Life, the methodology seems contrived and self-indulgent here. As on Absence, the album is broken up by instrumental interludes between each song, and while each is undeniably a good example of contemporary classical composition, they seem wasted in comparison to how well the orchestrations blend with the full band ensemble in the songs. Even the closing pair, ‘Opening Chapter to a Solitary Confinement’ and ‘Closing Chapter’, where the theme noticeably carries through, any one of the instrumentals would have been better served as the basis for a full-on black metal arrangement. 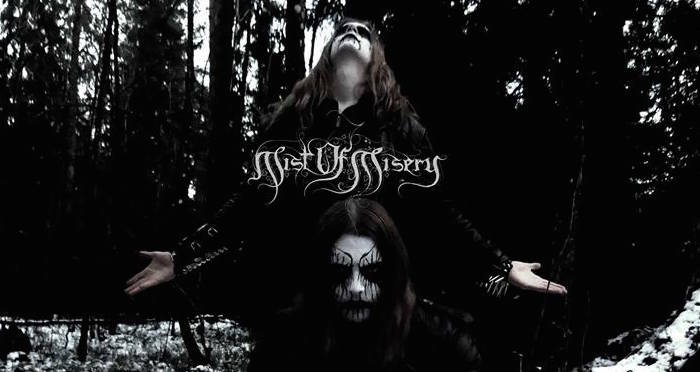 Instead, they opt for a showy bravado, serving these titbits up as evidence of their musicality – but even then, compared with the likes of Carach Angren’s Clemens ‘Ardek’ Wijers or Dimmu Borgir’s Øyvind ‘Mustis’ Mustaparta, the composition is pedestrian at best. Where these aforementioned artists are masters of their craft, ‘Mortuz Denatus’ of Mist of Misery comes across as merely a talented dabbler; even my favourite of these instrumental passages, ‘A Dreamless Void’, stands out less for its melodic aspect than for its atmosphere – a melancholic pop ambience reminiscent of Nick Cave. However, once the frustration with these ‘wasted’ compositions wears off, what is left is some solid depressive black metal with some really powerful moments, such as the Burzum-like spoken word outro section of the title track, or the thrash-fuelled guitar-led rhythms of ‘Dagon’. ‘Broken Chains’, though, is the absolute winner on Shackles of Life: from its choral intro and through its shifting aspects of blasting ferocity and keyboard-led ‘clean’ sections, the whole arrangement speaks of a maturity and sensitivity that the remainder of the album doesn’t quite match… yet. 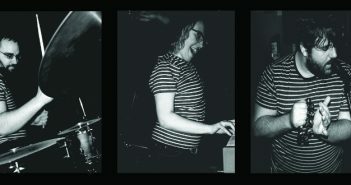 Perhaps if more time had been spent on developing the instrumental parts further, Shackles of Life wouldn’t seem so frustratingly unfinished; perhaps if the recipe Absence exposed us to had been evolved further rather than merely repeated, Mist of Misery would have had an amazing album and not just an amazing single. In summation, there is still massive potential, but the whole seems rushed – if the best aspects of both Absence and Shackles of Life were combined in one release, rather than across two, Mist of Misery would be a force to be reckoned with. In this light, it makes sense that so many years often separate releases from the ‘big’ names in black metal – Satyricon spent four years on Deep Calleth Upon Deep , Watain’s Trident Wolf Eclipse has been five years in the making and fans of Dimmu Borgir will wait eight years for the as-yet untitled follow-up to Abrahadabra. Like so many of the finer things in life – bespoke suits, single malt whisky, handmade musical instruments  – real craft shouldn’t be rushed. Haste makes waste, as they say, and Mist of Misery could well learn from this adage. 2. Recently reviewed on Broken Amp. 3. Such as the jaw-droppingly gorgeous creations of Lutherie Infernus.